Price gains recorded by most highly capitalised stocks on the Nigerian Stock Exchange (NSE), especially Nestle Nigeria Plc, yesterday pushed market capitalisation by N7billion. Specifically, at the close of trading yesterday, Nestle Nigeria led the gainers’ chart with 38.84 kobo to close at N1,300.00 per share. Unilever followed adding 2.15 kobo to close at N39 95 per share. Zenith International Bank gained 31 kobo to close at N24.55 per share. Dangote Sugar Refinery improved by 12 kobo to close at N15.42 per share. International Breweries appreciated by 10 kobo to close at N51.80 per share. Honeywell Flour Mills, and Guaranty Trust Bank each appreciated by 0.05 kobo to close at N2.00 and N42.06 per share respectively. Linkage Assurance, Learn Africa, and Eterna Oil each added 0.03 kobo to close at N0.64, 0.97 and N4.01 per share respectively. Access Bank also gained 0.02 kobo to close at N9.76 per share. On the other hand, Nigerian Breweries recorded the highest loss, declining by 4.00 kobo to close at N130 per share. GlaxoSmithKline trailed with a loss of 2.45 to close at N22.50 per share. Flour Mills Nigeria was down by 1.65 kobo to close at N31.50 per share. Julius Berger dipped 1.33 kobo to close at N28.00 per share. UACN declined by 0.65 kobo to close at N16.35 per share. Ecobank TransNational Incorporated shed 0.50 kobo to close at N16.50 per share. Stanbic IBTC dropped 0.40 kobo to close at N42.00 per share. Custodian and Allied Insurance also lost 0.12 kobo to close at N3.81 per share. Consequently, the All-Share Index recorded a marginal growth of 8.69 points or 0.02 per cent to close at 36,608.76 against 36,600.07 posted on Tuesday. Also, the market capitalisation, which opened at N12.738trillion inched N7billion to close at N12.745trillion. Further breakdown of yesterday’s transactions indicated that Union Bank of Nigeria was the most active, accounting for 70.74 million shares worth N480.18million. 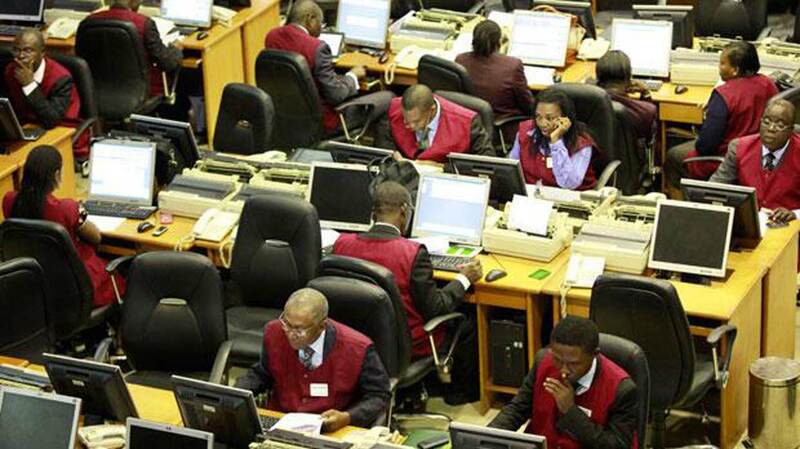 Custodian and Allied Insurance followed with an exchange of 55.18 million shares valued at N207.02million, while Tantalizers traded 43 million shares worth N21.50million. United Bank for Africa exchanged 31.05 million shares valued at N302.15million, and Fidelity Bank sold 28.36 million shares worth N45.33million. In all, investors bought and sold 331.24 million shares valued at N5.56billion in 3,231 deals against 257.93 million shares worth N3.29billion achieved in 3,423 deals, an increase of 28.42 per cent.